Thieves stole electrical equipment and other items from the charity. A future of a charity community project in Fife is in the balance after thieves made off with tools, electrical equipment and other items estimated to be worth over £1000. 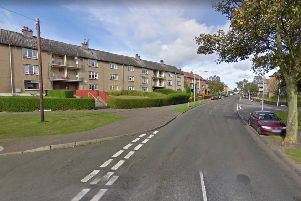 Police in Kirkcaldy are investicating after a number of lock up buildingsin Ravenscraig Park, used by the Men’s Shed project, were broken into and the contents stolen. A spokesman for Police Scotland said: “Officers were alerted on Wednesday, March 13 to the forced entry of a number of shed buildings at Ravenscraig Park in Kirkcaldy. “A quantity of electrical equipment and other items were stolen. “It’s thought the incident took place between the afternoon of Monday, March 11 and the morning of Wednesday March 13. John Milne, one of the project organisers said the theft has now put the future of the Men’s Shed project in jeopardy. He said: “We’ve had everything of any value including a generator, electric tools and drills stolen so we just can’t operate. Those responsible for this have basically stolen from a charity which took us over a year to raise the money in order for us to set up.